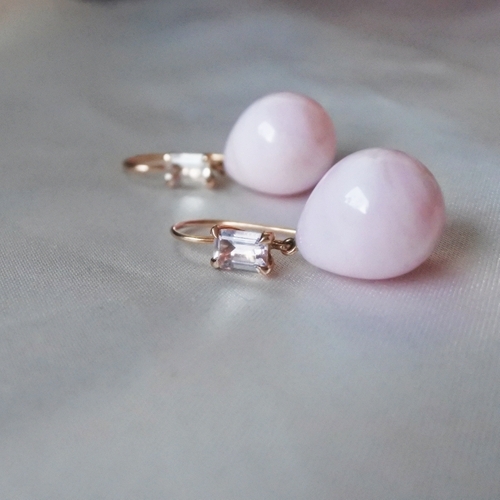 These earrings is made out of 18K rose gold with light pink emerald cut 6x4mm morganites and pink opal drops. The opal drops are exchangable if you want to vary your earrings! 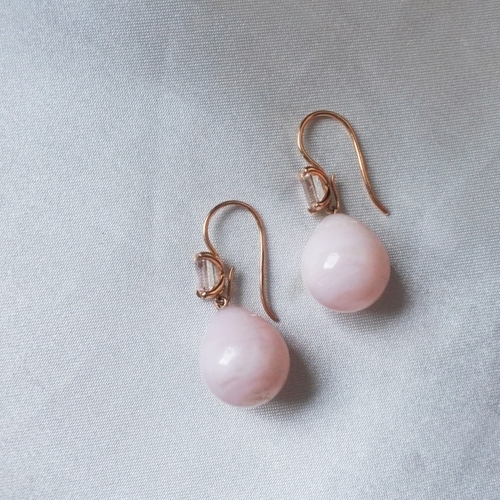 These earrings will be sent to you within 2-5 working days.